Robyn’s deep PR background includes a blend of senior level roles in a variety of settings: agency, corporate, and non-profit. At 4GreenPs, Robyn has been a key member of the Earth Mama Angel Baby and Mr. Beams account teams. Robyn was responsible for securing media and blog placements and developing communications materials which helped Mr Beams triple its website traffic and double its sales within three months. Prior to 4GreenPs, she spent five years managing publicity for the non-profit American Farmland Trust. There she cultivated relationships with reporters that generated millions of media impressions for the land conservation group in both consumer and trade press. Robyn also served as account supervisor at Ogilvy Public Relations Worldwide, where she successfully brokered partnerships and expanded media coverage for a variety of clients. 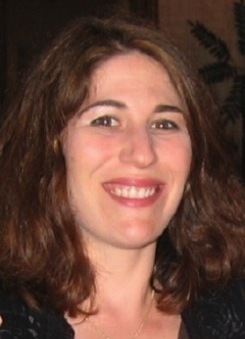 She has also worked for SeniorDECISION.com, Mental Health America, and the City of Boston. Robyn holds a Masters in Public Administration from George Washington University’s School of Business and Public Management and a Bachelor’s degree from Tufts University.